The passenger compartment of the C-Elysée remained stable in the frontal impact. 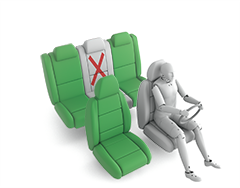 Dummy readings indicated good protection of the knees and femurs of the driver and passenger in the test. However, structures in the dashboard posed a risk of injury to occupants of different sizes and to those sat in different positions and the score was downgraded. Readings of chest compression in the driver dummy indicated a marginal level of protection for this body region. In the side impact, protection of all body regions was good except for the abdomen, protection of which was adequate. However, in the more severe side pole impact, dummy readings of chest compression indicated a weak level of protection for this body region. The score was penalised because some forces were transmitted through parts of the dummy structure which would further load the chest of a human, and protection of the chest area was rated as poor. 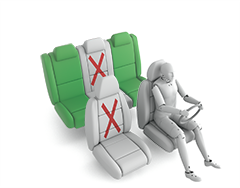 Protection against whiplash injury in a rear-end collision was good for the front seats but poor for the rear seats. 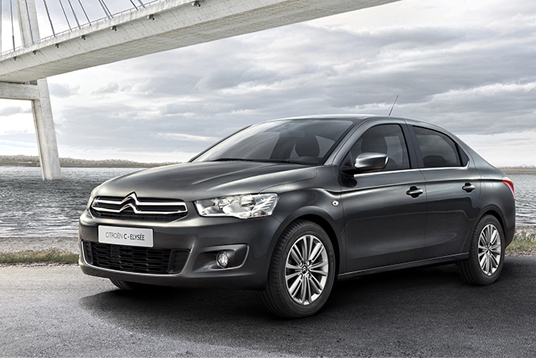 The C-Elysée has electronic stability control as standard. A seatbelt reminder is standard for the driver's seat but is not available for the passenger seat so the system was not rewarded. A driver-set speed limiter is available as an option. As it is fitted to most cars sold, it was assessed and met Euro NCAP's requirements for systems of this type. The C-Elysée is not available with lane assist or autonomous emergency braking.